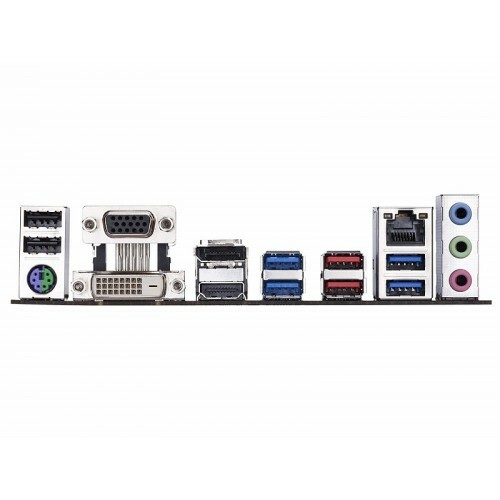 * DisplayPort function is limited if using an AMD Athlon™ 200-series APU. 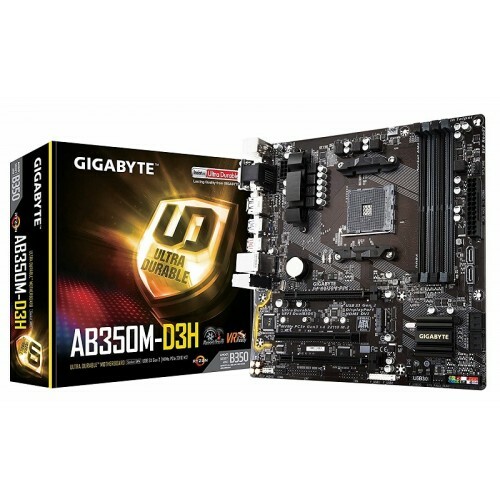 Gigabyte GA-AB350M-D3H AMD Micro ATX AM4 socket ryzen series CPU supported Dual Channel DDR4 maximum 64GB memory motherboard has the capability of Fast 2 USB 3.1 Gen 2 with USB Type-A connectivity & Ultra-Fast PCIe Gen3 x4 M.2 with PCIe NVMe & SATA mode support. 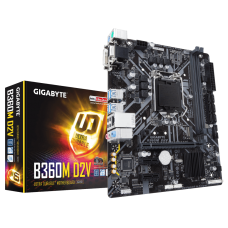 Considering the graphics, it will support 2-Way CrossFire™ Multi-Graphics with maximum resolution of 4096x2160@24 Hz for HDMI, 4096x2304@60 Hz for DisplayPort and 1920x1200@60 Hz for D-Sub & DVI-D ports for Multiple Display. 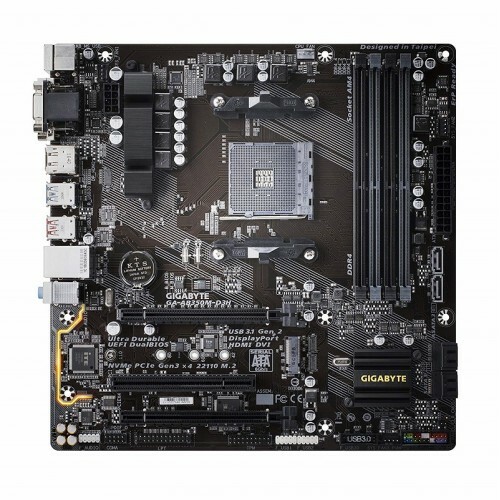 This High Quality Audio Capacitors and Audio Noise Guard with LED Trace Path Lighting motherboard has Realtek® Gigabit LAN with cFosSpeed Internet Accelerator Software, Smart Fan 5 features 6 Temperature Sensors and 4 Hybrid Fan Headers and GIGABYTE™ UEFI BIOS. 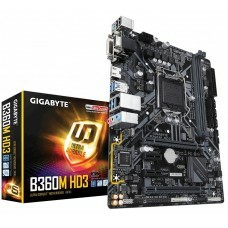 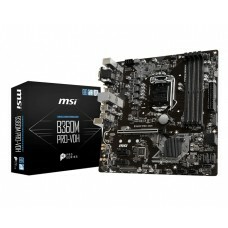 Gigabyte GA-AB350M-D3H mainboard is the right choice to purchase with 3 years of warranty facility. 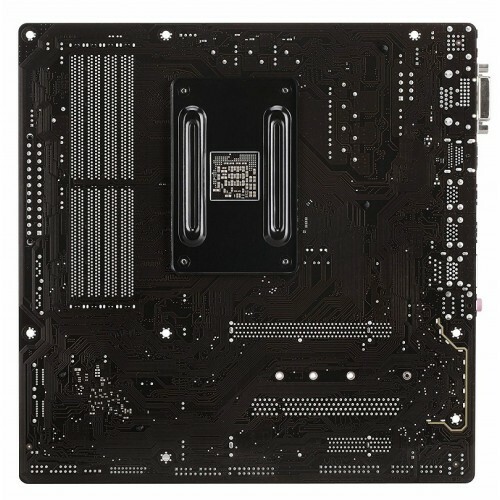 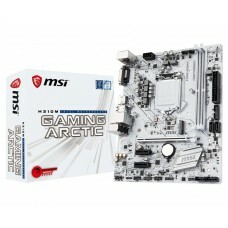 Order latest AMD board at best price from Star Tech’s online shop and have the delivery at your convenience.